Ardiem Medical provides outsourcing solutions for concept, prototype, clinical trial and full commercialization devices. Ardiem specializes in low to medium volume manufacturing of medical devices. Our mission is to provide innovative, high quality, timely medical device solutions that completely satisfy customer expectations. Our desire is to assist our customers to bring therapeutic medical devices to maturity to improve patient healthcare. Our design and manufacturing experience ranges from class I to class III fully implantable medical devices and electronic, mechanical, and electromechanical devices and systems. Ardiem Medical partners with investigators at research institutions to advance medical therapeutics to new levels. Ardiem continually seeks collaborative arrangements with academic research institutions and private enterprises for funding opportunities and to bring innovative and essential product ideas to realization and eventual deployment to benefit patient quality of life. Past and current partners are Case Western Reserve University and the University of Pittsburgh. Ardiem Medical will custom fabricate electrodes to meet your specific medical device requirements and one of our specialties is custom implantable neuromodulation electrodes. We can supply electrodes with standard connectors such as an IS-1 or fabricate completely custom connectors to meet your requirements. We will work with you from concept to fabricated device to ensure that the end product meets your specific needs and is made to your complete satisfaction. These devices are built to order and can be customized to your requirements. Spiral nerve cuff electrode available in diameters ranging from one to ten millimeters and from one to six channels. Spiral cuff electrode contacts are custom configurable in multiple sizes, geometries, and patterns. Universal External Control Unit- portable device for surface or percutaneous neuromodulation applications. Please contact us for more detailed information concerning these electrodes and devices. 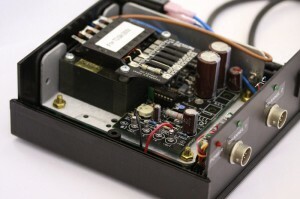 One of our specialties is the prototyping of innovative medical devices including electrodes. We can make prototypes to your concept or design or we can assist you with designing your prototype with our in house engineers. Prototypes we typically produce range from external electronic devices or instruments to fully implantable devices. Please contact us to discuss your prototyping needs. Ardiem employees both mechnical and electrical engineers to assist customers with their products. With extensive experience in the medical device field Ardiem is able to assist customers with new mold designs, manufacturing processes, material specifications, pcb layout and much more. Please contact us for assistance with your research or development project. We can provide expertise in many areas, and Ardiem Medical is always ready to partner with education institutions, corporations, or private entities to jointly seek funding to perform advanced research. Ardiem Medical also provides full manufacturing services, for external and implantable medical devices in low to medium volume quantities. Ardiem Medical is capable of handling your clean assembly and packaging requirements with our class 10,000 clean room. Capabilities include silicone molding and potting, transfer molding, adhesive bonding, spot welding, laser welding, and cleaning and packaging. We also are able to subcontract sterility verification and sterilization services. Our facility is ISO13485 compliant, and Ardiem Medical provides efficient and cost-effective assembly services that meet all our customers’ specifications and performance needs.